​ FRISCO – After nearly two years of construction the 16-story, 300-room Omni Frisco Hotel has opened. The facility, located at 11 Cowboys Way, is inside The Star development and adjacent to the Ford Center, the Dallas Cowboys’ practice facility. 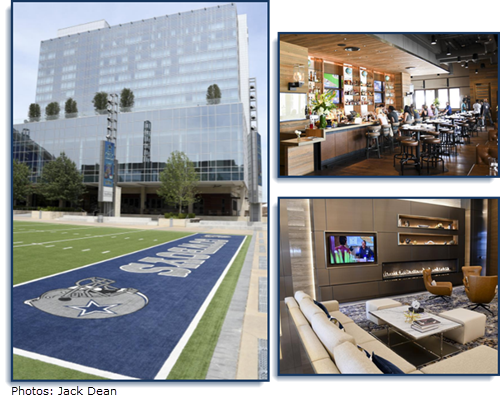 Many of the lodging’s amenities pay homage to the Dallas Cowboys, including details like football-shaped light fixtures outside the hotel’s grand ballroom and stars stitched onto the throw blankets on guest room beds.